The value of nearly new cars sold at auction rose in December but overall, there was a fall in the average prices achieved by used cars, according to the monthly figures released by BCA. There was a 3.3 per cent fall in used car values across the board last month, with vehicles going under the hammer for an average price of £8,341. However, 2016’s yearly values were up by 3.6 per cent and the average age and mileage of cars being sold was lower than the previous year. If you are using statistics and marketing news to help with your stocking decisions, remember that a change in the value or volume of vehicles on your forecourt will impact your insurance. Make sure you check your motor trade insurance policy to ensure it is right for any changes you make to your business. BCA’s December report also showed that dealers were receiving less in part exchange prices for a second consecutive month. There was a fall of around 2.2 per cent or £104, giving an average part exchange price of £4,495. 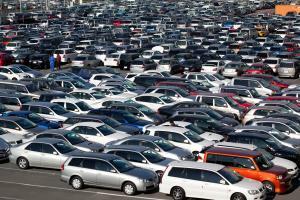 However, just like the yearly used car values, the figure was up on an annual basis and rose by £247 or 5.8 per cent. Again, the average age and mileage of part exchange vehicles was lower than in 2015. Simon Henstock, BCA chief operating officer UK Remarketing, said: “December is the shortest trading month of the year and both the market sector mix and model mix tend to change quite significantly. However, he said that the start of 2017 had been “exceptionally busy” and the trade is now entering one of its busiest times of the year ahead of the new registration plate on March 1.